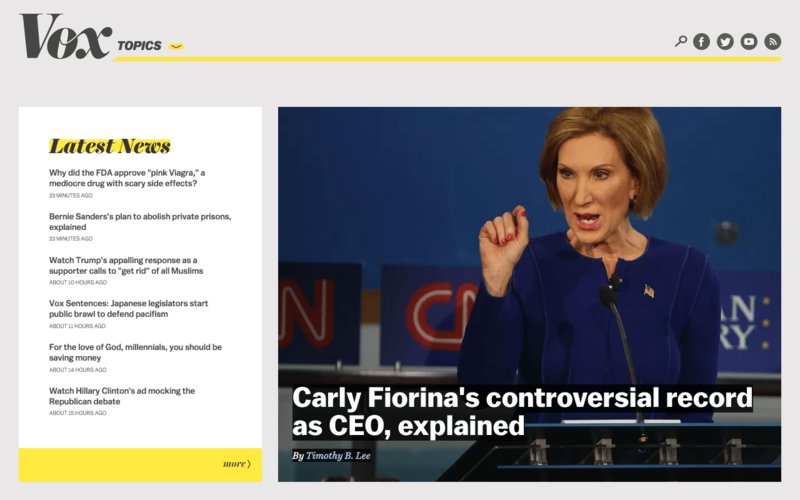 Vox.com is beautifully designed. They don’t crowd their content, instead making excellent use of white space on their page and in their articles. They aren’t afraid to give things room to breathe. Their main typeface for headlines and article text is Balto from TypeSupply, and their use of this typeface throughout their site is absolutely beautiful. And if that wasn’t enough, their articles are well vetted and a pretty good read.